Chrome atân chuan chrome extensions Unlimited Free VPN - Hola hi kan install ang. "HOLA! 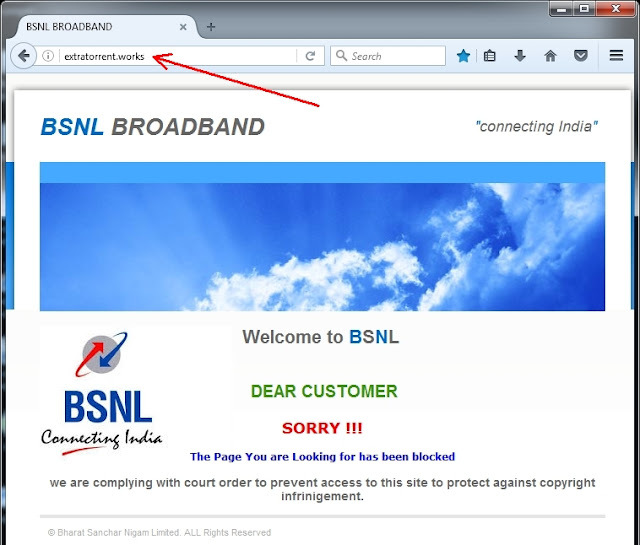 - FREE and secure VPN. 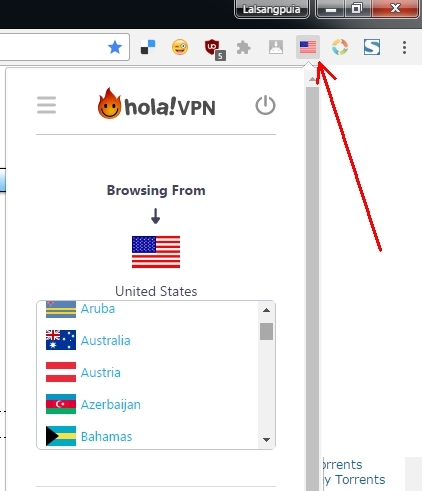 Access websites blocked or censored in your country, company or school and stream media with the free Hola Unblocker VPN proxy service." Hola-ah hian account siam a ngai hran lova, install zawh veleh Chrome close-na hnuaia hola icon kan click ang a, ram khawi emaw ber kan thlan hnuah sawrkâr leh ISP ṭangkawp ten an block website chu kan hawng zet zet thei tawh ang. 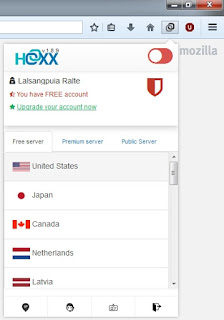 Firefox atân chuan firefox addons Hoxx VPN Proxy hi kan install ang a, mahse FREE account siam a ngai ve thung. 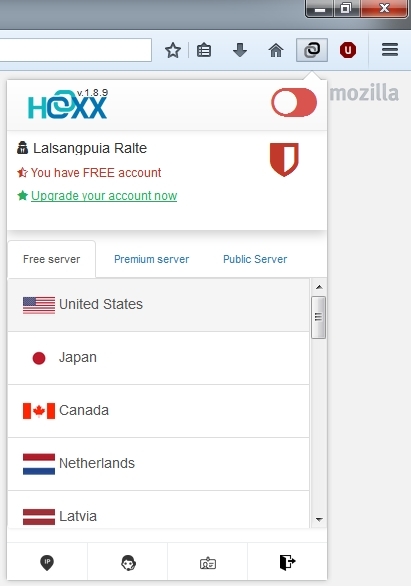 "Hoxx VPN Proxy service to unblock blocked websites, hide your location and encrypt your connection. Completely free." 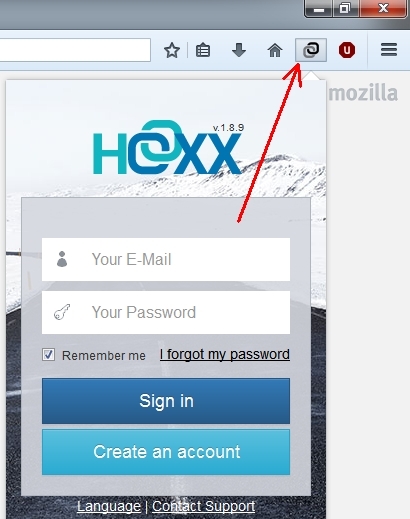 Firefox close-na hnuaia Hoxx icon aṭangin account kan siam ang a, kan login hnuah ram hrang hrang thlan tûr lo awm zînga kan duh ber kan thlan hnu chuan kêng kûng website website block kan en thei tawh ang. 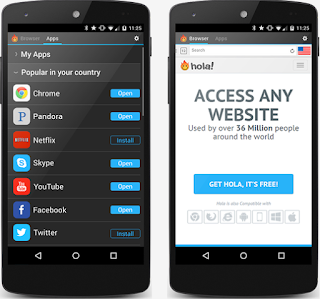 Android-ah chuan play store aṭangin Hola Free VPN Proxy hi install leh mai tûr a ni. 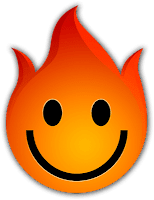 App hawn hnuah amah aṭangin website a hawn nghal theih a, duh chuan browser dang kan install chawp hmangin a hawn theih bawk. App hawn hian tihdân tûr a man theih nghâl mai a, sawi belh tûr vak a awm hran lo. 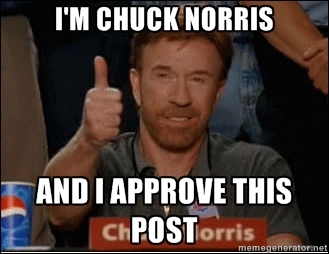 He post hi a rintlâk em? I install zawhah i test duh chuan What Is My IP? website hi a chunga kan sawi VPN extension/addons off/disable chungin hawng phawt la, i on/enable leh hnuah a dik leh dik loh chu i hre mai ang.